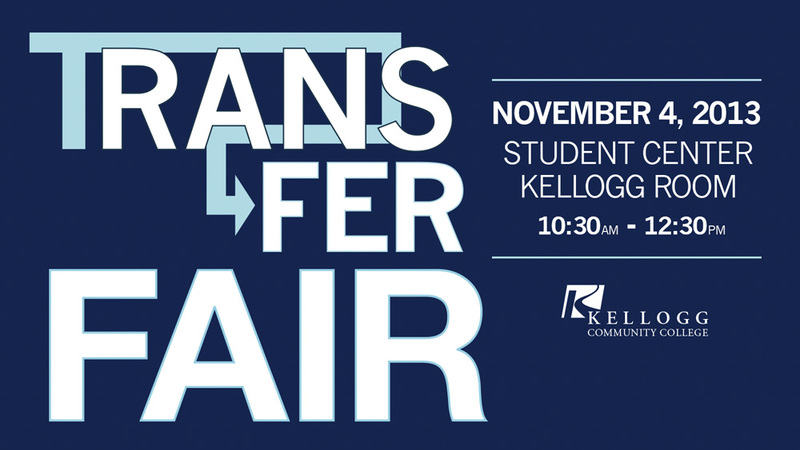 Kellogg Community College students will have the opportunity to speak with representatives from more than 30 colleges and universities at KCC’s annual Transfer Fair on Nov. 4. The Transfer Fair, which will run from 10:30 a.m. to 12:30 p.m. in the Student Center on KCC’s North Avenue campus, will provide current KCC students with information about the transfer process, admissions requirements, scholarships and more from participating schools. Michael Houston, an academic advisor at KCC, said the fair will include a number of in-state institutions including Central Michigan University, Ferris State University, Grand Valley State University, Western Michigan University and others. “The Transfer Fair gives an opportunity for KCC students to meet with several colleges and universities in one place,” Houston said. The Transfer Fair for KCC student precedes the college’s annual Calhoun County College Night, which will run from 6:30 to 8 p.m. at Kellogg Arena the same night. The College Night event, which is also free and open the public, will give future college students the opportunity to talk with representatives from nearly 70 institutions and organizations about their future. For more information about the Transfer Fair at Kellogg Community College, contact Houston at 269-965-3931 ext. 2628 or at houstonm@kellogg.edu.